Taking into consideration its size, an ancient relative of piranhas weighing about 20 pounds delivered a bite with a force more fierce than prehistoric whale-eating sharks, the four-ton ocean-dwelling Dunkleosteus terrelli and – even – Tyrannosaurus rex. 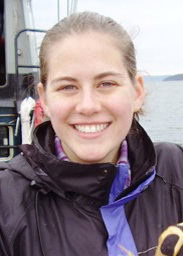 Besides the force of the bite, Megapiranha paranensis appears to have had teeth capable of shearing through soft tissue the way today’s piranhas do, while also being able to pierce thick shells and crack armoring and bones, according to Stephanie Crofts, a University of Washington doctoral student in biology. “If our calculations are correct, Megapiranha was probably a bone-crushing predator taking bites of anything and everything,” she said. 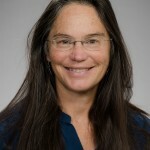 Crofts is co-author of “Mega-Bites: Extreme jaw forces of living and extinct piranhas,”published Dec. 20 in the online journal Scientific Reports. Based on the 2 ½ pound piranha and other specimens tested in the wild, the scientists calculate that Megapiranha paranensis, which weighed approximately 22 pounds, could have had a bite force anywhere from 1,240 to 4,750 newtons – or 280 to 1,070 pounds – and possibly more. Pound for pound, Megapiranha and black piranha have the most powerful bites among carnivorous fishes, living or extinct, the paper said. 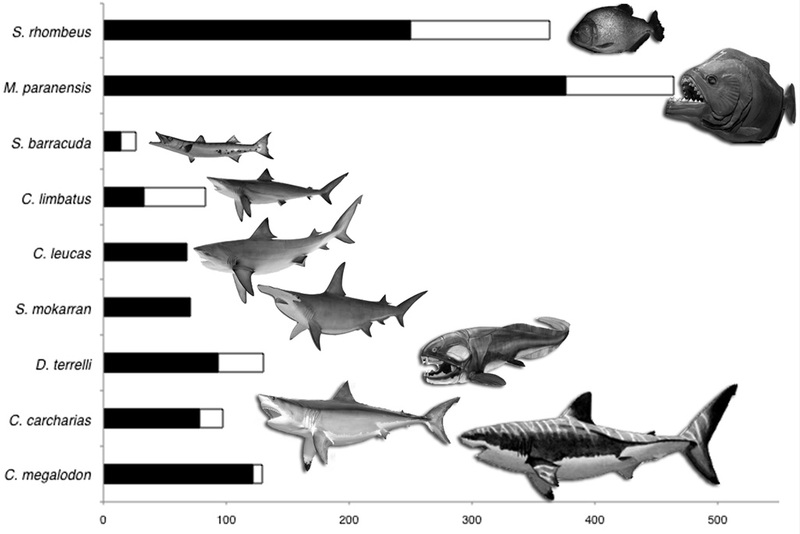 “For its relatively diminutive size, Megapiranha paranensis’ bite dwarfs other extinct mega-predators” including the enormous whale-eating Carcharodon megalodon and the monstrous Dunkleosteus terrelli, a four-ton armored fish. The same was true when the scientists corrected for body size and made comparisons with today’s barracudas, hammerhead sharks and great white sharks. Just how does one measure the bite force of a piranha living in the wild? Well, you get out your rod and reel and go fishing. Land a specimen, then hang tight to the tail with one hand and use your other hand to support its belly while offering the fish a chance to bite the plates of a customized force gauge. “Piranhas are ornery little fish so they bit down as hard as they could,” Crofts said based on what she was told by those on the fishing expedition along tributaries of the Amazon River. The black piranha’s bite is so powerful in part because of its massive jaw muscles and rope-like tendons that together account for 2 percent of the fish’s overall weight, the scientists found. 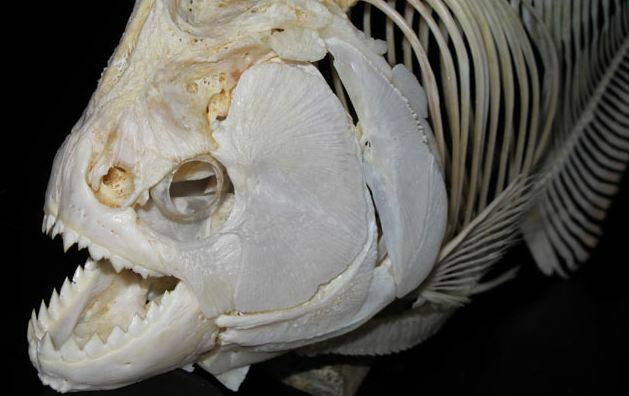 Further the shape of their jaw has evolved into a powerful lever, “one of the highest jaw-closing mechanical advantages ever identified in fishes,” the paper said. Crofts’ main contribution involved analysis of how Megapiranha teeth handled stresses and how breakable the teeth might have been. The scientists were particularly interested because Megapiranha’s unusual teeth appear to do two things at the same time, one the piranha-like ability to shear soft tissues and the other an ability to bite like the nut-crushing pacu, piranha’s close relative. “We found the Megapiranha teeth had the same maximum strength like you saw in regular piranha, but then the patterns of stress distribution within the tooth was also similar to fish able to eat hard-prey,” she said. The actual diet remains a mystery, but during the time when Megapiranha lived a lot of potential prey species were gigantic. “Thus it is reasonable to assume the food resources available to Megapiranha would likely have required jaw forces and dental weaponry capable of capturing and processing very large prey,” the paper says. Other co-authors on the paper are Steve Huskey with Western Kentucky University, Guillermo Orti with George Washington University and Jorge Porto with the Instituto Nacional de Pesquisas da Amazônia. Funding came from the National Geographic and the Field Museum of Natural History.